Trust me. I really want a Samsung Galaxy S4. I have a two year old Sprint HTC Evo Shift that I rooted and installed Cyanogenmod 7 on. Even so, it has a frustrating lag problem. I really want a new top of the line device. I want the S4. My problem is, I don’t want the 16gb version. After reading many articles and forum posts, it turns out that the 16gb Galaxy S4 comes with only about 9gb of usable storage. The other 7gb are used by the system software and bundled apps. Now, 9gb is a lot more than the 384mb I currently have available. And, because I am rooted I can easily move apps to my 32gb sdcard. This, however, cannot be done on the S4. Since the Ice Cream Sandwich version of Android, apps cannot be moved to the sdcard. Also, I use to think 384mb was a lot when I came from my HTC Hero. Funny how what seems like a lot of space one day turns out to be inadequate as time goes on. So, I could root the S4 and install a custom ROM again right? I don’t want to do that. Though I will probably root my S4 (once I get what I want) I want to be able to use the stock camera software. I also want to be able to use things like multi-window, S Health and a lot of the other Samsung goodness. It is also a matter of principle. The Galaxy S4 is a beast of a device. It excels in just about ever area we measure smartphones in. Why is this beast crippled in a sense by having almost half of its advertised memory unusable? Samsung should have made the 32gb model the base. There should be no 16gb model. I am glad AT&T has begun selling the 32gb S4 today (May 10th). I am hoping other carriers will follow suit. Samsung makes 32 and 64gb models. Other devices come with these capacities. Like, Apple’s iPhone and HTC’s One. Why is AT&T the only US carrier with a larger Galaxy S4? 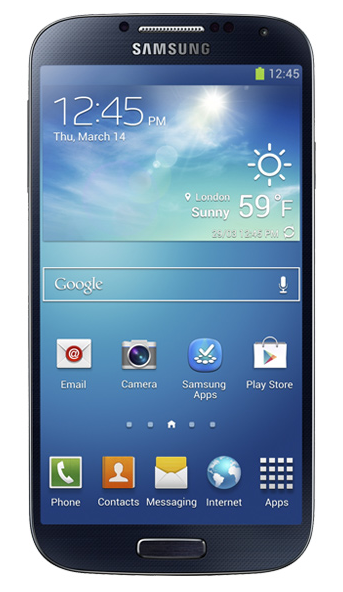 Do you think Sprint and other carriers should offer 32gb and 64gb models of the Samsung Galaxy S4? Let me know in the comments. I work for Sprint and, trust me, we do care about our customers and appreciate your business. Sprint isn’t always the best at expressing that appreciation, but our Customer Care has gotten exponentially better in recent years. We’ve been fighting an uphill battle for the last few years due to poor decisions by previous senior management (failed WorldCom merger, Nextel merger, etc…) and, unfortunately, customers have paid that price. We’re getting better, though, and hope you’ll stick around for the ride! And I, too, hope we get the 32 or 64Gb S4.